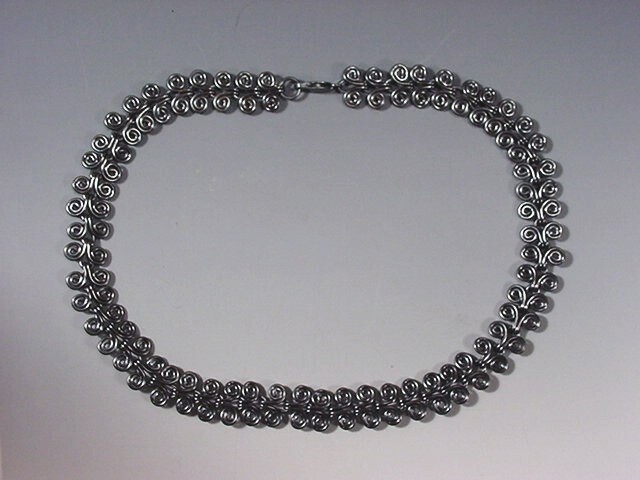 Sterling silver choker conforms beautifully to the neck. Oxidized shiny black finish. See also matching Bacelet and Ring.